Use this cartoon stallion as a mascot for elementary schools. 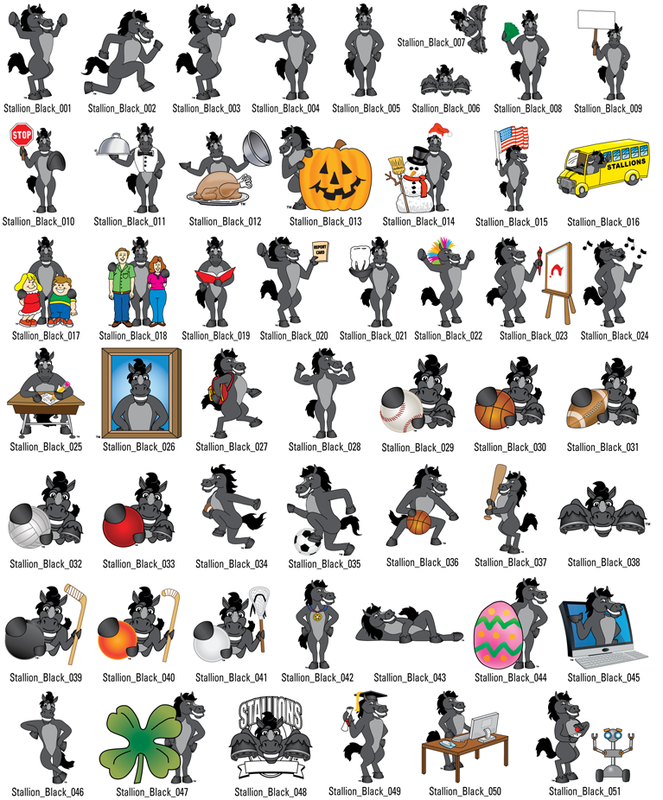 See all 51 of the kid-friendly stallion mascot illustrations in his clipart collection. He is featured doing a variety of school and sports related activities. Use the stallion mascot clipart for yearbooks, banner, posters, bulletins, t-shirts, award certificates and virtually anything to promote school spirit and build a sense of community and pride within the elementary school.